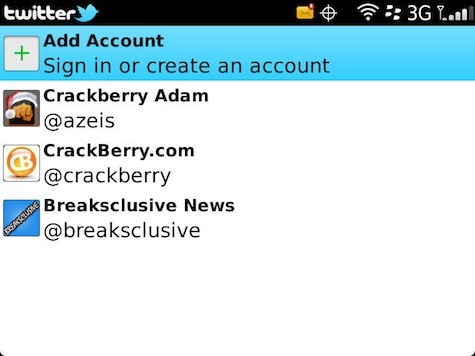 The latest version of Twitter for BlackBerry has some great new features, one of which is the ability to use multiple accounts. 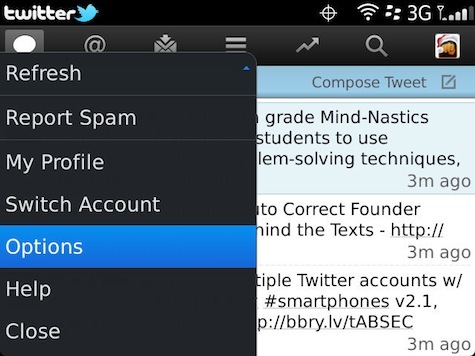 Users can add up to five Twitter accounts and easily switch between them from within the app. Twitter for BlackBerry lets you view one feed at a time, however you can view or post to all at once through the BlackBerry Social Feeds app. 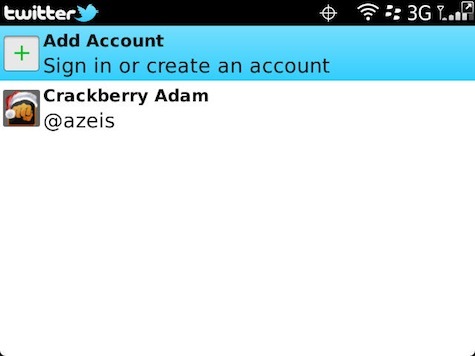 For this post, we'll look at how to add and switch between accounts inside Twitter for BlackBerry. It's pretty easy to get done, so let's get to it! Your additional accounts will be added to the list. Press the Back button to exit. To change accounts, press the Menu key and choose Switch Account. Choose the account you want to view. That's it! Very simple to get up and running with multiple accounts. Again, you'll only be able to view one account at a time from within the app, but overall it's a great feature. 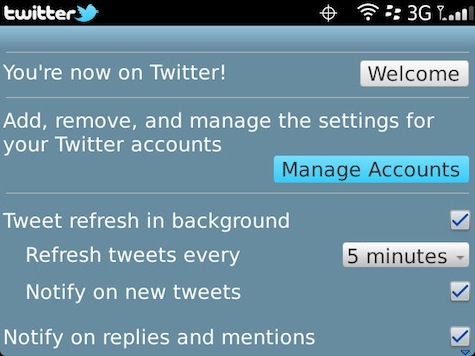 If you haven't tried Twitter for BlackBerry you can grab it from the link below.